In Territorio Era they have anything you might like to try, and these days you cannot sell these bottle-aged wines quick enough – the punters lap them up. I am not so sure, and this wine is a good example of what makes me leary of them. 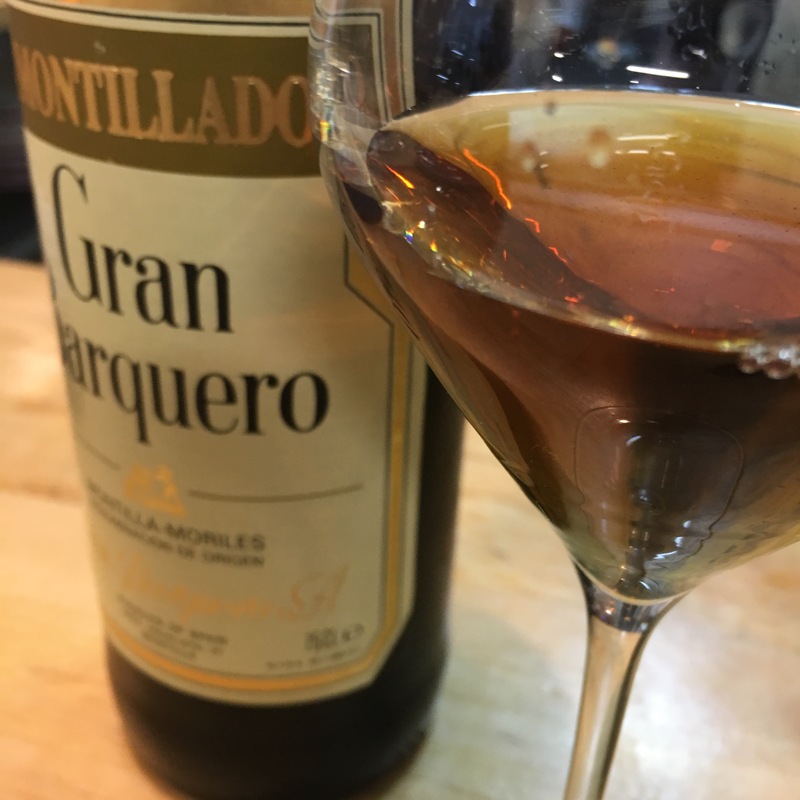 The Gran Barquero amontillado is, in my view, one of the great wines, light and supple but structured, punchy and creamy caramel. But this one here has had 21 years in the bottle – and in my mind the first question is where? Label looks like it has had a fair bit of sun, or did they not use green back in the 90s? Whatever the reason is, the wine shows its age. A texture that has lost its creaminess and become a little bit dusty, and whereas the modern amontillado is all caramel and toffee this is woody and a touch bitter.